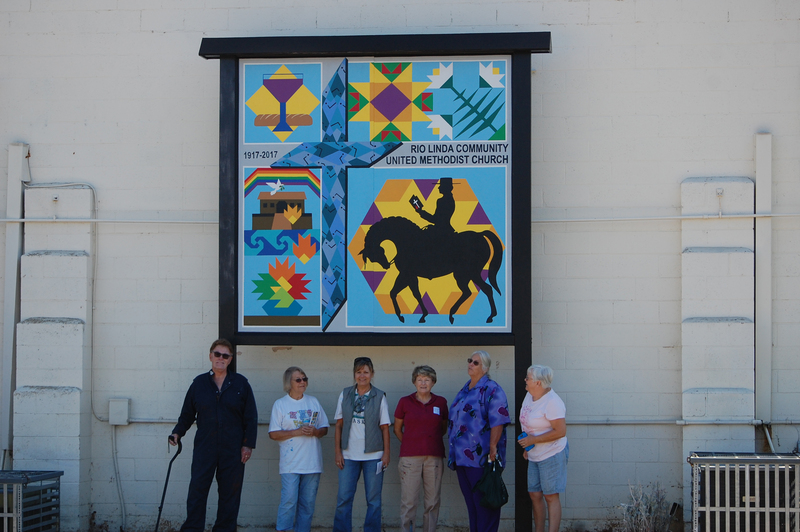 To celebrate their centennial the Rio Linda Community United Methodist Church asked us paint a barn quilt for them. This was a big project, 8 feet by 10 feet. 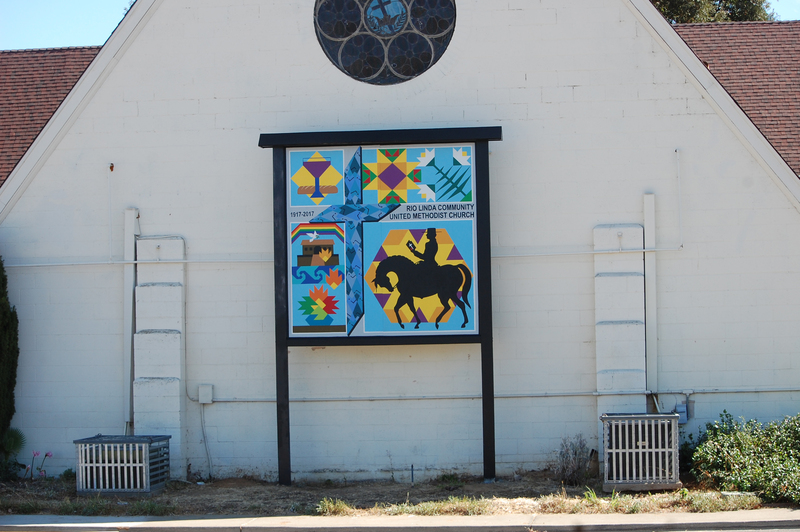 The symbols have meaning to the church community and represent events found in the bible. The church members helped us in painting and made a beautiful frame and support structure for the finished quilt block.